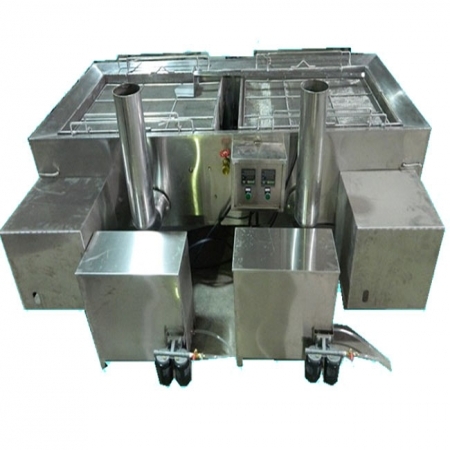 YZG-2001 double-oven frying pan is heated by means of fuel, gas and electric heating. Part of the structure is welded with stainless steel plate. After polishing treatment, the appearance is clean. Users can choose oil or electric heating frying pan. The temperature is continuously adjustable. It is suitable for many kinds of food. It is non-sticky after frying and food, and the equipment is stable.